Although no one is absolutely certain of the history of magic squares, according to ancient Chinese legend they may date back as far as 5,000 years. Their history is interwoven with the history of civilization. An ancient Chinese legend tells of Emperor Yu-Huang swimming in the mighty Yellow River (Huang-He). The Emperor sought solitude at the river's edge and as he gazed into the water he saw the turtle at his feet. Emperor Yu knew it was the same turtle he had seen formed by a pattern of stars in the night sky each night before he went to bed. The Emperor noticed the special pattern on the turtle's back and realized it was the Divine Turtle. Another version of the legend tells of the yellow river flooding and the sacrifices the people made to the river in an attempt to calm its anger. Each time an offering was made, a turtle emerged from the river and walked onto the riverbank and around the offering, but the river remained angry. The Emperor Fu Xi noticed the strange pattern on the turtle's back and realized it was a 3 x 3 grid pattern with dots in the center of the squares. The sum of the number of dots in each row added to 15. The Emperor realized that was the number of offerings they had to make to the angry flooding river with the hope of making it happy and peaceful again. Written in one of ancient China's five classical texts called The Book of Rites, this legend is known as the "scroll of the river Lo" or Lo Shu. 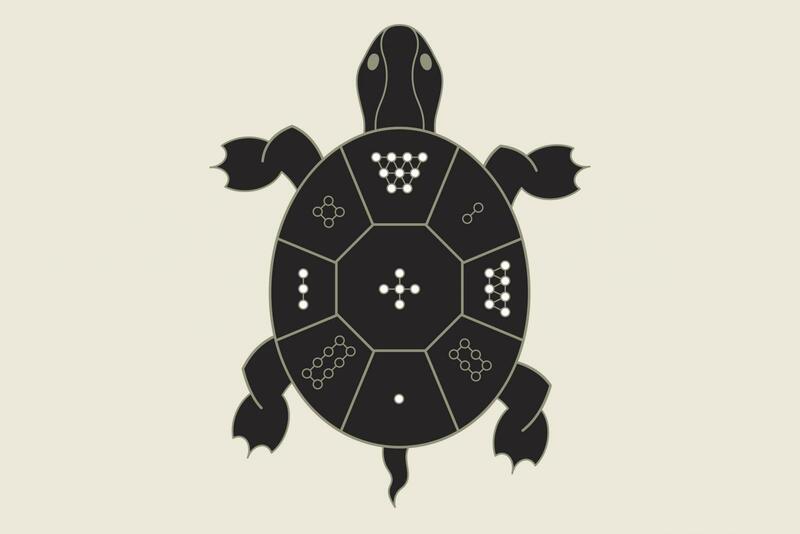 The pattern of the magic squares on the turtle's shell was the first formula used to depict the energy of the universe. In the time of the ancient Chinese, the simple nine-square grid of the magic square explained the balance and function of everything in the universe. Today, just as in ancient times, it symbolizes perfect harmony, balance, and connectivity. The magic square is the basic underlying principle of feng shui, traditional Chinese medicine, and the concept of universal natural order. In the practice of feng shui, a bagua is one of the tools used to determine which areas of your home or workplace directly correspond to specific areas of your life. With this knowledge, you know which areas of your space are auspicious or inauspicious. You are then able to use feng shui cures in areas with negative energy to promote the flow of positive energy, or chi, throughout your space. However, it must be noted that only practitioners of the Black Hat Sect (Form School) method of feng shui use the bagua alone to determine the placement of cures and make choices in design. 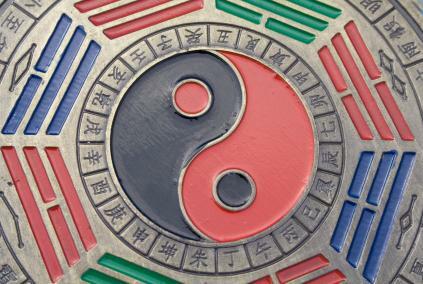 Other schools of feng shui combine the bagua results with a Flying Stars Analysis. The history of magic squares is rich with folklore, numerology, astrology, and astronomy. Although its exact beginning remains a mystery, its magical power is explained with the mathematical formula of the feng shui 3 x 3 nine-grid square. Each row of the nine-grid square has the same sum of 15. This is exact when the numbers are added together by columns, rows and even diagonal. The Chinese ancients recognized that this was also the exact number of days in each of the twenty-four lunar cycles of the Chinese year. While legend claims it was the number of offerings that finally appeased the river, it certainly is a number that became ingrained within the Chinese culture as one of great magic and importance. A few of the famous and popular magic squares from around the world are a little more modern than 4,000-year-old Lo Shu or the ancient magic squares of 4 x 4 used in India (900AD). These magic squares provide mathematical delights over the genius behind their designs. Magic squares can range from 2 squares x 2 squares to the Franklin square that is 16 squares by 16 squares or larger. 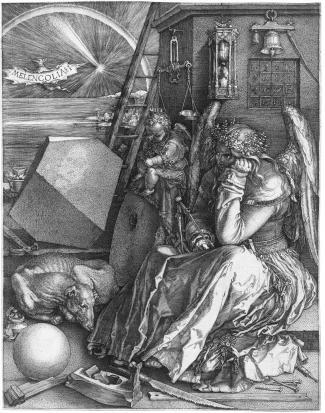 German painter Albrecht Dürer's Melancholia features one of the most famous magic squares in this 1514 painting. The four square by four square magic square found above the seated female with wings is said to be the first to turn up in European art. 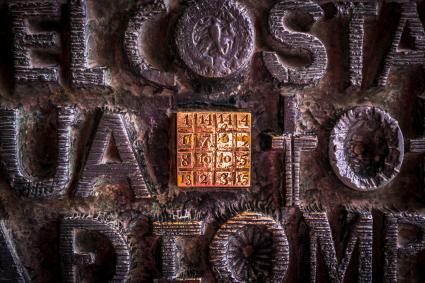 Laden with symbolism, the magic sum or constant is 34 for the various combinations of squares. Benjamin Franklin created what is known as the Franklin Magic Square was published in 1767 along with one of his magic circles. Franklin created a 16 x 16 square, although he created other squares, this one is viewed as spectacular since the columns and rows add to 2,056. When half rows and half columns are added together, the sum is 1,028. There are more ways to add the squares if this magic square to reach that magic constant. The fascination of magic squares is seen in Chinese feng shui and the magic squares of Inda's ancient texts. In the modern world of computers, it's not surprising that algorithms have been created to design even more complex magic squares that prove the authenticity of the math of magic squares.